How much do you know about Pennsylvania wines? Over the past few years, a lot has changed in the PA wine industry. On Sunday, July 13th, Nectar Restaurant sommelier Scott Zoccolillo will host a blind taste test, featuring an array of Pennsylvania wines pitted against some of the most celebrated California reds and whites. The judging will be done by local wine authorities. You’ll have the chance to watch the action, nibble on some great food produced by area artisans, and taste the wines to judge for yourself. Area wine-makers, cheese makers and farmers will be on hand for you to meet. Local artisans include Éclat chocolate, BirchRun Hills Farm, Doe Run Dairy, and Yellow Springs Farm. Chef Patrick Feury will also create a menu of hor d’oeuvres for tasting. Admission to the taste around is $65. Doors open at 5 p.m.
You won’t want to miss this celebration of Pennsylvania wines. April 23rd through April 29th marks Main Line Restaurant Week. Participating restaurants throughout the Main Line and Philadelphia’s western suburbs will offer prix fixe menus showcasing their chefs’ signature dishes. Menus feature discounted lunches and three-course dinners which comprise of an appetizer, entrée and dessert. Diners can expect to spend $20 to $50 per person. What’s better than a discounted meal at your favorite restaurant? Well how about the chance to eat for FREE at some of the best eateries in the Main Line. Lucky Restaurant Week diners have a chance to win gift certificates for up to $100 at participating restaurants including Sullivan’s Steakhouse, Verdad, and The Capital Grille. 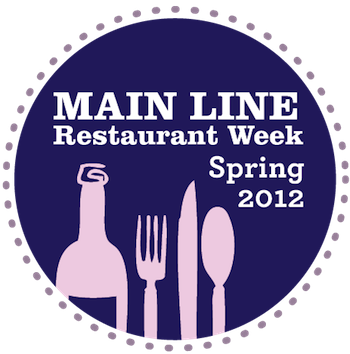 For details and a full list of restaurants visit: www.mainlinerestaurantweek.com.